The key findings support recent work indicating that the rice herbicide butachlor causes thyroid endocrine disruption in vertebrates. This means that wildlife and human health are at stake when exposed to this herbicide in the rice fields. “Because the cane toad is a widespread invasive species and abundant within rice fields in the Philippines and in other tropical countries where it has been introduced, it can serve as an indicator to assess consequences of pesticide exposure,” Molly adds. Building on these findings, the first of which were published in Ecotoxicology in late 2017, Molly identifies more exciting research areas. 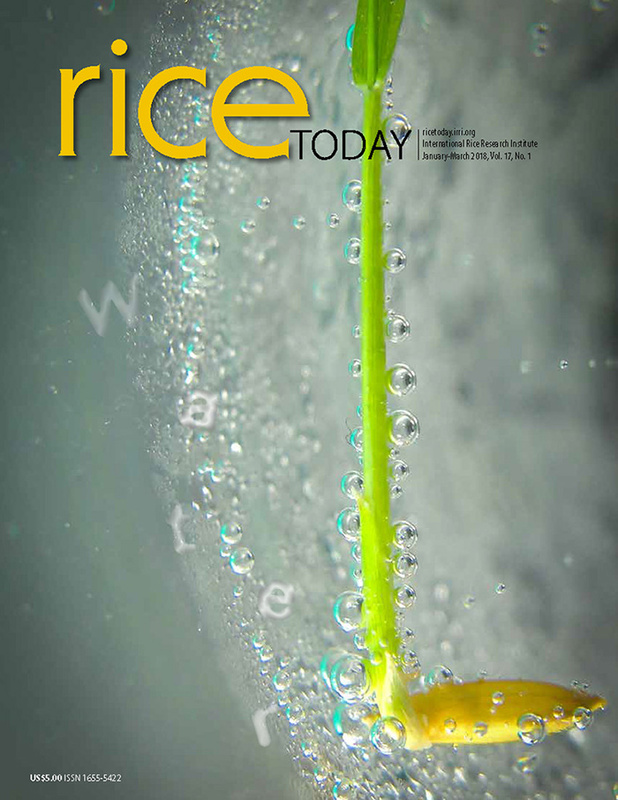 “By using cane toad larvae, we can assess whether other pesticide products used in rice negatively affect development at concentrations observed in the environment,” she said. Further research can be done to understand the diet of rice field amphibians, and to help understand whether native frogs, such as the Luzon wart frog, consume rice pests. This can help answer the question whether the presence of frogs may reduce the need for insecticide application. Last November, Molly’s research on amphibians was awarded the best PhD platform presentation during the Spotlight Session at the globally renowned Society of Environmental Toxicology and Chemistry (SETAC) in Sacramento, California, USA. A chapter of her doctoral dissertation titled “Invasive cane toads: Good for something? Developmental assays reveal safety concerns of the common rice herbicide, butachlor” was chosen among the 256 PhD student presenters.